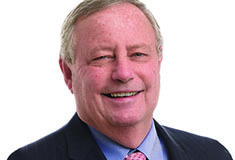 New York, NY Walter & Samuels, Inc., an 85-year-old real estate firm that manages 50-plus commercial properties comprising more than 3 million s/f in New York, has retained 30-year commercial real estate industry veteran Joseph Manasseri as president. In the new position, Manasseri will run Walter & Samuels’ day-to-day operations, oversee assets under management, and spearhead plans to grow the firm’s brand, investment portfolio and market share. Manasseri spent 25 years at GE Capital Real Estate, where as managing director of global asset management he led a $30-plus billion debt and Real Estate Owned (REO) portfolio consisting of 3,200 properties across North America, Europe and Asia. Under his leadership, the group maximized real estate returns in all market environments, achieved record lows in delinquent and nonearning assets, and outperformed the market in portfolio performance. 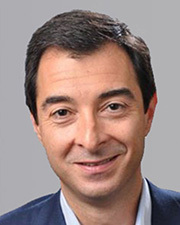 Prior to joining Walter & Samuels, Manasseri was executive managing director of asset services for the Tri-State Region at Cushman & Wakefield, where in two years he grew the firm’s Tri-State Asset Services business from 47 to 63 million s/f of office, industrial and retail space. Walter & Samuels, Inc. is one of New York’s most long-standing full-service real estate firms. Founded in 1933, the firm specializes in building management, leasing, asset management, financial analysis, coop and condominium conversions and development. In addition to managing over three million square feet of commercial space, Walter & Samuels, Inc. is among the most successful and established converters in Manhattan, where it has performed over 30 major residential cooperative and condominium conversions. For more information, visit www.walter-samuels.com.